Cut avocado in half and remove pit. Scoop out avocado into a bowl; set avocado peel aside to use as cups for filling. 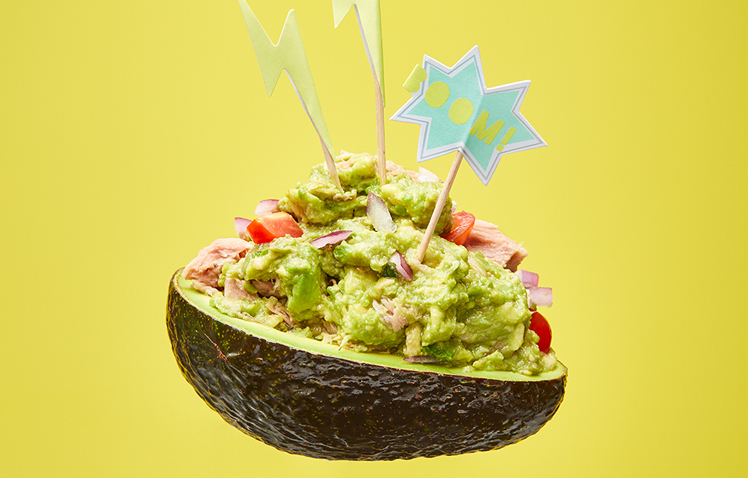 Mash the avocado slightly with a fork, add tuna, tomato and onion. Stir to combine. Add salad dressing and salt; stirring gently to combine. Spoon into avocado peel and serve with carrots and cucumber. Tip: If you want to serve this for a party, try using some tortilla chips too!